The Aral Hotel is two thirds of a mile from the sand and shingle beach, 1 mile from the shops, bars and restaurants of Side resort centre and less than a mile from its ruins. There is a restaurant within a few steps and a bus stop 300 metres away with a regular service to Side. The hotel will appeal to couples and families looking for bright, comfortable, family run accommodation close to all local facilities. 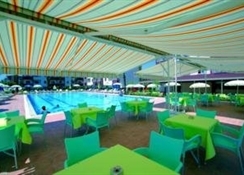 The hotel has indoor and outdoor swimming pools and a children`s pool. Free loungers and sunbeds are available. 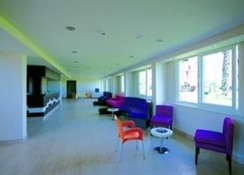 The hotel has a restaurant, lobby bar with satellite TV and poolside bar serving snacks. The hotel has a total of 72 rooms. 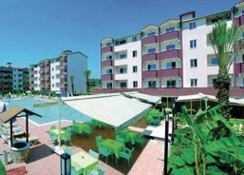 Side is the ideal choice for a holiday in Turkey with its narrow streets, old harbour area and attractive beaches. There is a good selection of bars, restaurants and shops in the town and on the waterfront.